This page has been updated in the light of the National Policy Planning Document Framework which was released on 27th March 2012. Increasingly Local Planning Authorities (LPA) are asking for bat surveys as part of the planning process, this is because bats are a European Protected Species along with great crested newts Triturus cristatus and other species, for more information on the protection afforded to bats see our bats and the law page. All 18 species of bat in the U.K. are fully protected under the Wildlife and Countryside Act 1981 as amended through inclusion in Schedule V. All bat species in the U.K. are also included in Schedule II of the Habitats Regulations 2010 which transpose Annex II of the Council Directive 92/43/EEC 1992 on the Conservation of Natural Habitats and of Wild Fauna and Flora (“EC Habitats Directive”) which defines European protected species of animals. Bats species are afforded further protection by the Countryside and Rights of Way Act 2000; and the Natural Environment and Rural Communities Act 2006. 1. Intentionally or deliberately kill, injure or capture bats. 2. Deliberately disturb bats, whether at roost or not. 3. Damage, destroy or obstruct access to bat roosts. 4. Possess or transport a bat or any part of a bat, unless acquired legally. 5. Sell, barter or exchange bats, or any part of a bat. Bats tend to re-use the same roosts; therefore legal opinion is guided by recent case law precedents , that a roost is protected whether or not the bats are present at the time. This can include for summer roosts, used for breeding; or winter roosts, used for hibernating. In addition to the statutes described above, various local planning policy imposes duties upon would-be planning applicants to take account of protected species and habitats at sites of proposed development and in particular, protected species. The objective of these policies is to prevent a net loss of species and habitats diversity identified as priorities for the U.K. as a consequence of development activity. So who can undertake surveys for development? Bat surveys for development or planning processes are not undertaken by bat groups, this is because they are run by volunteers, are none-profit making and don’t have the correct insurances for undertaking commercial work. Surveys are undertaken by professional consultants (see below for further details of local consultants). 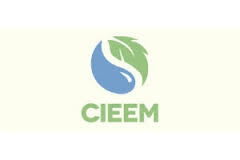 Consultants are trained individuals or companies who have the correct insurances (public liability and professional indemnity), often individual staff members are also a member of a professional body such as The Chartered institute of Ecology and Environmental Management (CIEEM) . How are development bat surveys undertaken? 1.A scoping bat survey (or daylight inspection/diurnal/walkover survey). This looks for three main signs of bats, (1) bats themselves, (2) evidence of bats e.g. droppings and (3) habitat potential e.g. the potential for bats to be using the site, such as woodlands and open water close by or holes, cracks and gaps in the building structure. 2. Full surveys where bats or evidence of bats are found. Three surveys are undertaken usually two dusk and one dawn survey. Where habitat potential is found either a dusk/dawn or two dusk surveys are carried out. Depending on what is found these will trigger further surveys or full bat surveys. These are often known as emergence surveys or dusk/dawn surveys and are designed to inform the consultant as to the number of bats, the species and how they use the structure or land. These surveys are time constrained, only being undertaken between May and October (depending on weather and location in the country) (Hundt, 2012). For 1 and 2 above two or three surveys are undertaken e.g. two dusk and one dawn or two dusks, for number 3 above, one dusk and dawn or two dusks are undertaken. Depending on what you plan to do with the structure or land will depend on your next course of action. An experienced licenced bat worker will advise to the best course of action, two examples are given below. Example 1: (Destruction of a roost) Bats are found to be using the building and you intend to demolish it. A Method Statement (undertaken by our consultant) a lengthy document designed to protect the bats and ensure the developer replaces the bat habitat on site. A Reasoned Statement (undertaken by the developer/land owner) a form justifying the need for the development. You also have to have planning permission in place and discharged all wildlife conditions before the licence can be applied for and the licencing authorities (Natural England/CCW) have a period of 30 working days to grant the licence or ask for more information. Example 2 (Retention of the roost) Bats are found using the building, but you can retain the roost. Retaining all roost entrances (without modification). The Partnership for Biodiversity in Planning is a four year project funded by the Esmée Fairbairn Foundation. The Bat Conservation Trust is the lead partner and is working with 17 organisations representing the planning and conservation sectors to improve the consideration of biodiversity in the planning process. The Partnership is developing a web-based planning tool that will enable users without any ecological expertise to quickly and easily assess whether a development scheme is likely to affect protected and priority species and will therefore require some form of an ecological assessment. The planning tool will take the form of an Interactive Trigger List (ITL); a series of questions will be asked about the development proposal, enabling an assessment to be made about whether it is likely to affect protected and priority species. The ITL will indicate the species that may require investigation, the surveys that may be required and the time of year these surveys should be carried out. The ITL will also act as a ‘one stop shop’ for best practice guidance on survey methods, mitigation, enhancement and monitoring techniques for protected and priority species. Alongside the ITL, the project will also be producing guidance regarding when to consult species distribution data and how to interpret the results of a data search. The project is UK-wide and started in December 2014. Where can I find an ecological consultant? Please remove the (2011) in the e-mail address when e-mailing. Company name : Prime Environment Ltd.
An important new edition of the reference book for those involved in bat mitigation and planning .